Neil Chester couldn’t believe what the dean of student services showed him when Chester was hired to be Capilano University’s first athletic director in 1973. “There was a wooden cupboard that had about six rubber balls in it, and that was our athletic program,” says Chester, who’d previously worked in athletics at the University of Saskatchewan. There were no basketballs, no soccer balls and there were no facilities on campus where teams could practice. “We just took a look at where we thought we could succeed early and then built everything from there,” he says. Cap focused on developing sports that already produced strong interest and strong athletes on the North Shore to ease recruitment from feeder schools. He dubbed the teams the Blues after Capilano then-College’s brand colours. In the beginning, there was men’s basketball, soccer and rugby. Women’s teams played volleyball, badminton and curled. 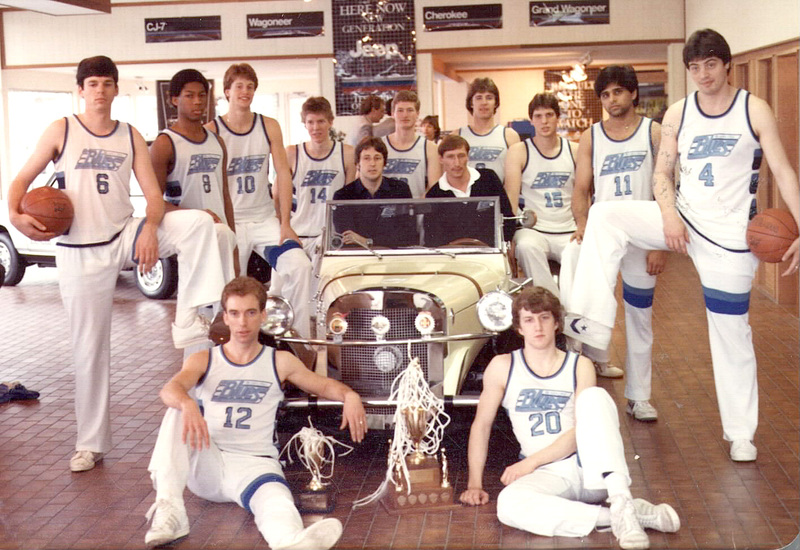 The Blues have taken home numerous provincial and national titles, coach of the year, athlete of the year, Canadian Collegiate Athletic Association (CCAA) all-Canadian distinctions and aggregate championships since 1974. In 1999, the CCAA awarded Cap its Soccer Supremacy Award, which was presented to the CCAA’s most successful men’s and women’s soccer program over 25 years.